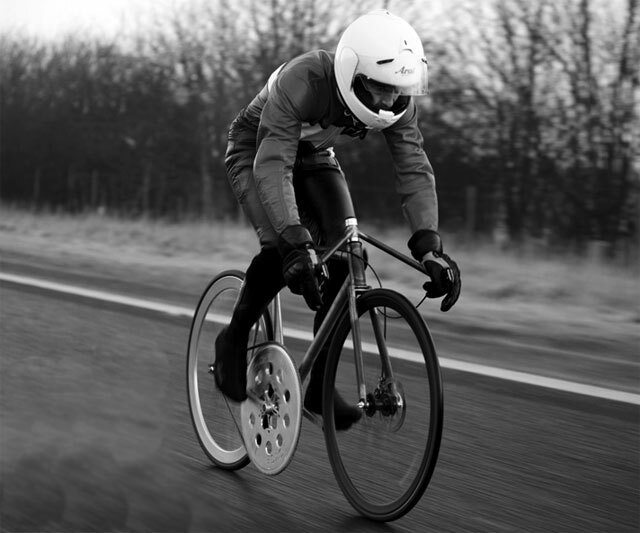 And by 100 MPH Bicycle, Donhou Cycles really means Bicycle That Has Peaked at 60 MPH on the Open Road but Could Theoretically Make It to 100. I'm not sure how that theory was developed. I think it's how fast frame builder Tom Donhou really, really wants the bike to go when he thinks about it in his head. I don't blame him, 100 is a nice number. I'm not sure my car could exceed 92, even on a downhill. In fact, on a daily basis, probably the only thing in my life that tops 100 mph is my heart rate when the suction-cupped soap dish inevitably falls off the wall and crashes onto the bathroom floor at 3 a.m. What, Mom? Oh...oh yeah. Heart rate is measured in beats per minute, not miles per hour. 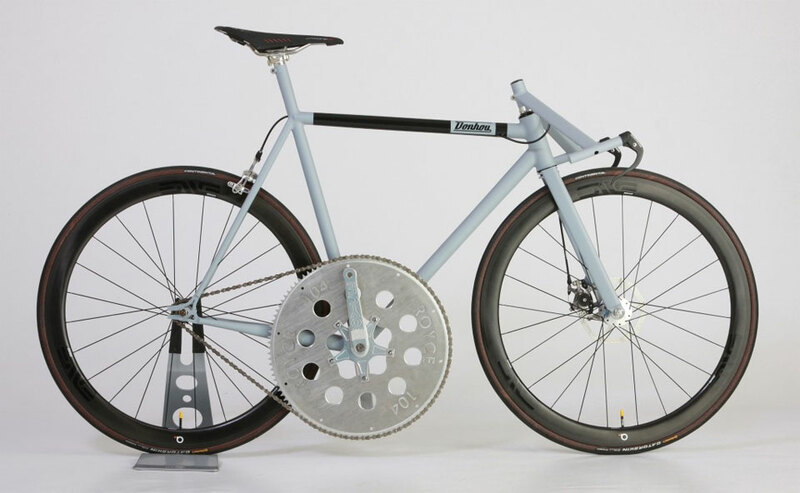 Unveiled at the Bespoked Bristol show, the custom-built Good to a Hundred bike has the additional customization of a Royce 17" chainring with 104 teeth pumping its figurative blood. Whoa, that ring is huge. 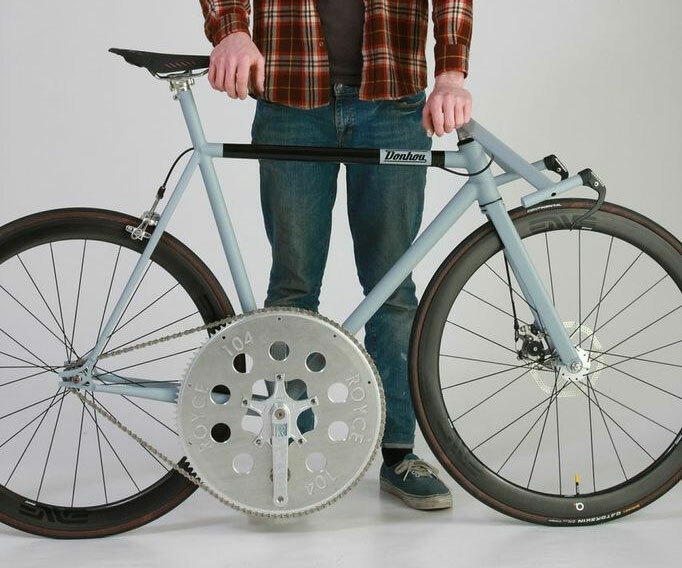 It looks like it belongs on an industrial buzzsaw, not a bike. To encourage aerodynamics and chronic back pain, Donhou has also installed handlebars that ride extra low--right around the top of the front wheel. The bike's frame is made of steel, and they say its geometry is triangular, but if you examine it closely I think you will agree it falls more into the category of nondescript quadrilateral that has been diagonally bisected. 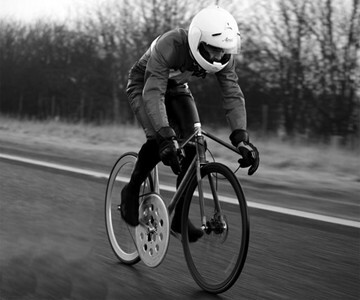 Donhou asserts that during test rides the Good to a Hundred was able to maintain its peak speed of 60 mph without compromising stability. One time I tried to sprint at 12 mph and I fell over. Muchas danke to Damn Geeky.